Unique client or employee gift idea - Tag can be customized with your logo and/or message and we can match the ribbon/twine around the box to your branding. A plant ID sheet is also available to get to know your succulents by name. -6 well established, rooted succulents in 2.5" nursery pots. 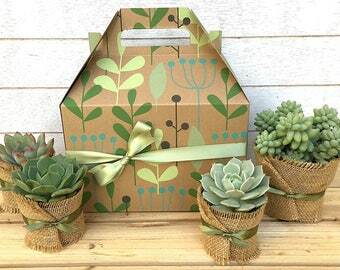 Each box contains a variety of 6 succulents (may vary from pictures, but always a beautiful selection). 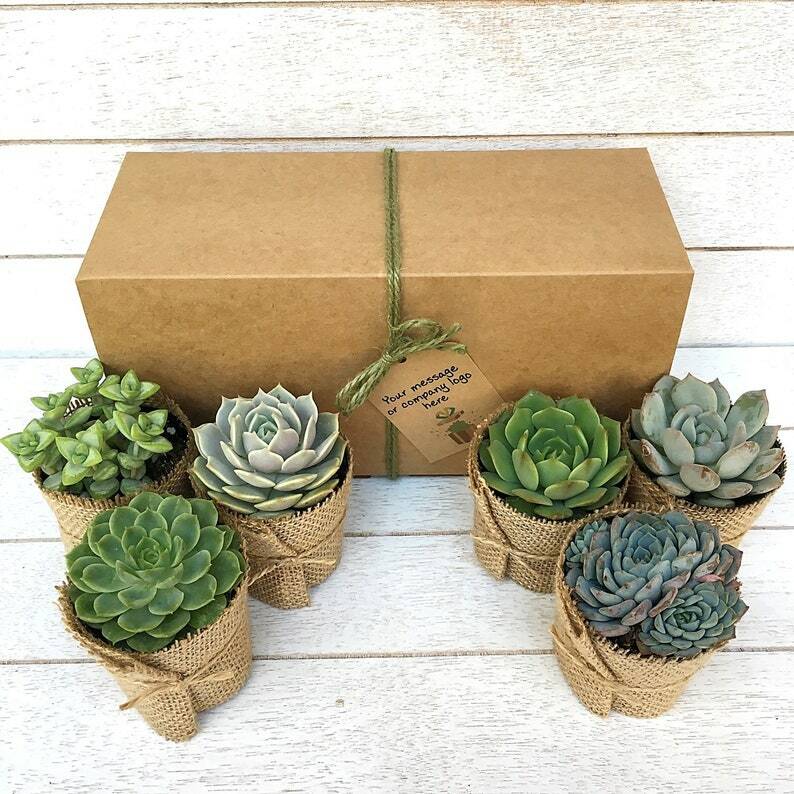 - Each succulent is individually wrapped in burlap as shown in the pictures, tied with natural twine or ribbon of your choice and placed in a Kraft gift box wrapped with twine or ribbon of your choice. - Optional: Plant ID card - select from drop-down menu at checkout. such cute packaging, everything arrived in excellent condition! I ordered a package of six for a present for some staff at my office. The plants were packaged incredibly well and were in very good condition — even though they were significantly delayed because of USPS (at no fault of the seller — simply bad timing). The seller was also great to work with and went shoe and beyond when notified that the package was delayed. I would recommend this seller for cute gifts. Absolutely beautiful. So excited to gift these. Can’t wait to purchase more for myself!! Thank you.